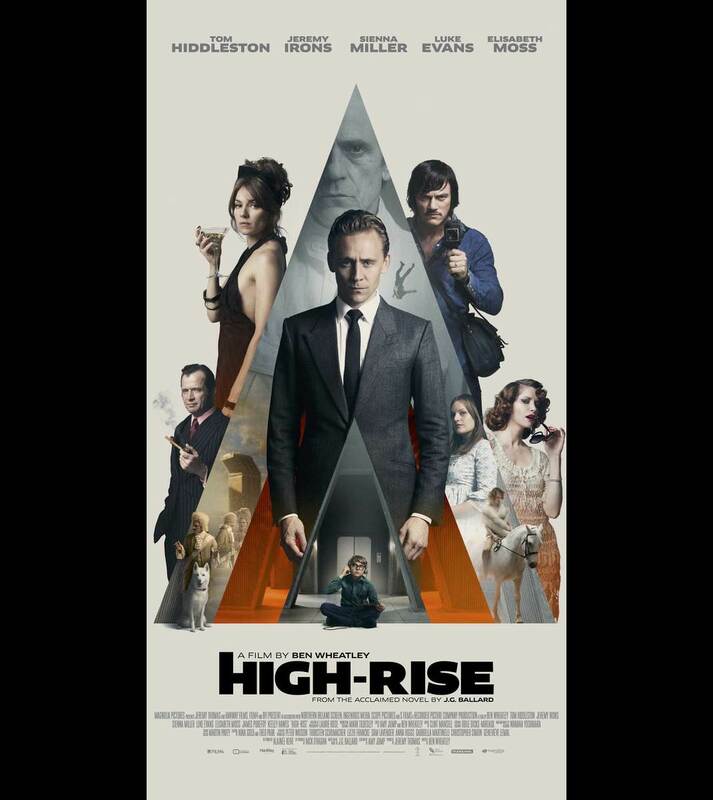 High-Rise centers on Dr. Robert Laing (Tom Hiddleston), a newcomer to a luxury high-rise building where the inhabitants are stratified by social class. Opening on trash bags piled high, with men roasting a dog over a spit fueled by detritus, and dead bodies lurking in the background, Wheatley rewinds three months to a period of relative peace to chart the descent into anarchy and violence. Sienna Miller, Luke Evans, and Elisabeth Moss co-star as residents of the dystopian complex, while Jeremy Irons reigns above it all as its chief architect and penthouse resident. An allegorical fever dream of class division and human nature, Wheatley's fully realized vision of a brutal and stylized self-contained world is destined for cult status.